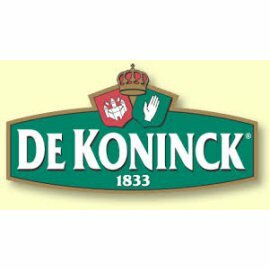 Few Antwerp companies have such a close affiliation with Antwerp and can pride themselves on such a rich tradition as De Koninck. Today it is the only city brewery in Antwerp. 1827. Joseph Henricus De Koninck bought the coaching 'De Plaisante Hof' on the border between Antwerp and Berchem. Today a stone boundary marker with a sculpted hand across the street from Brewery De Koninck still bears evidence to this boundary. 1833. After Joseph Henricus De Koninck died, his wife, Elisabeth Cop remarried with Johannes Vervliet. He converted the coaching into Brewery De Hand after the hand on the boundary marker. This hand is still featured in the brewery’s logo today. 1845. Carolus De Koninck, the eldest son from Elisabeth Cop’s first marriage, took over the company. 1912. Brewery De Hand was renamed Brasserie Charles De Koninck under the management of Florent van Bauwel. 1918. Together with Joseph Van den Bogaert, Florent van Bauwel reopened the brewery. Joseph Van den Bogaert, a scion of a prominent brewer’s family from Willebroek, studied at the agricultural and brewery school in Leuven and thus had the required technical knowledge of the brewing process. The Van Bauwel-Van den Bogaert partnership was at the origin of the company’s spectacular development. 1949. Modeste Van den Bogaert Joseph’s son, joined the company. He would go on to run the company for over 50 years. 2010. Brewery De Koninck is incorporated in the Duvel Moortgat group of breweries. The knowledge, expertise and passion for beer of two Belgian family-held breweries are combined. The brewing installations in Antwerp are also adapted.